ALLi runs an ongoing campaign to encourage (and aid) literary events, festivals, prizes, reviewers, booksellers, government bodies and other interested parties to find ways to include self-publishing authors in their programs, events, listings and reviews. Dan Holloway, our News Editor, and Debbie Young, our Publications Manager, have written a campaign book — Opening Up To Indie Authors — (available free to members and at all good online retailers) which assesses the opportunities and challenges and offers best practices and etiquette for both indie authors and their potential partners. We run an email campaign where we highlight access issues worldwide. 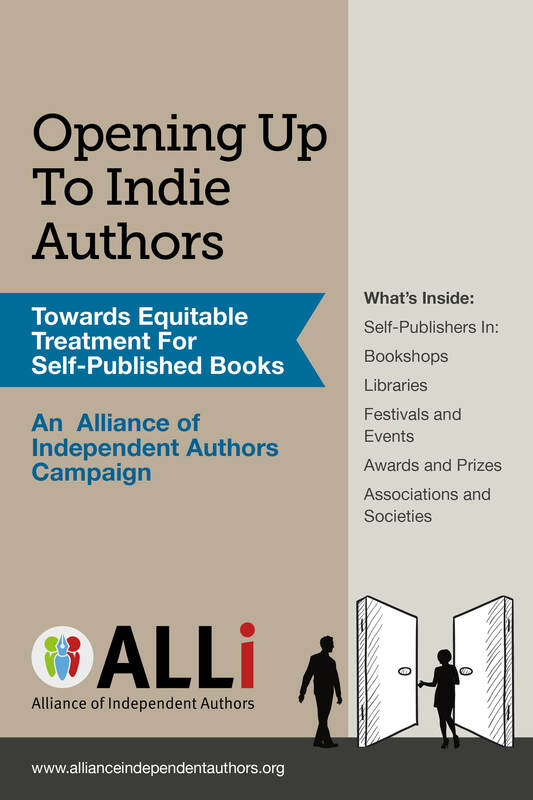 Please let us know if you’d like to volunteer to help by emailing orna@allianceindependentauthors.org. We’d also like you to take a moment to tell us anything relevant to the campaign by contacting us with commendations for those who are opening up to indies, as well as recommendations to those who could do better. We are seeking signatures for a petition. It only takes a moment and when you’ve signed, could you pass it to your author friends, facebook groups, or anyone who might support? On reaching 10,000 signatures, the petition will be sent to selected literary organizations, events managers, bookstores, libraries, review outlets and other interested parties, as part of our ongoing campaign. Please add your name to our petition here.